Makeup, Beauty and More: 10 Budget Beauty Buys I'm Currently Loving! 10 Budget Beauty Buys I'm Currently Loving! A few tried, tested budget beauty buys I'm currently loving! L'Oreal Color Riche Eye Liner ($8) - This is such a fabulous kohl pencil that smudges and smokes out like a dream. The formula is very smooth and Black Brown especially is a softer alternative to regular black. I've been reaching out to this a lot for when I need just a dash of eyeliner and some mascara. 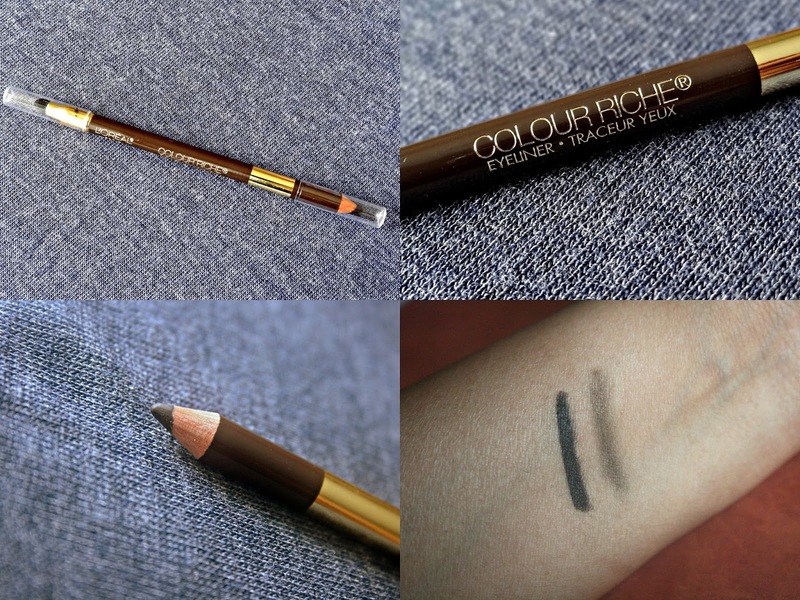 It does fade and smudge a bit along the outer corners after a few hours, but definitely a nice basic, brown liner for when you want to look simple and put together in a few minutes. 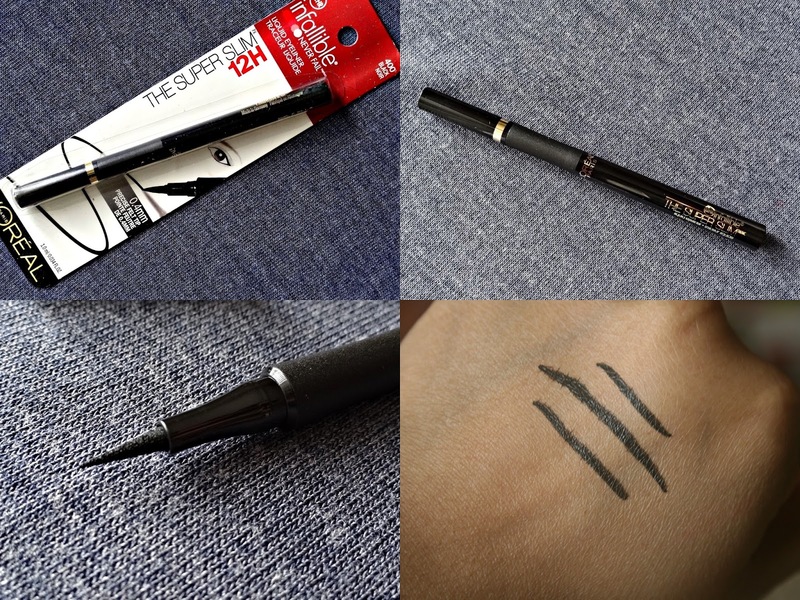 L'Oreal 24hr Infallible The Super Slim Liquid Eyeliner ($8) - I haven't been using liquid liners for a while now, except for when I want a super fine line, but when I do, this is a great one to have. 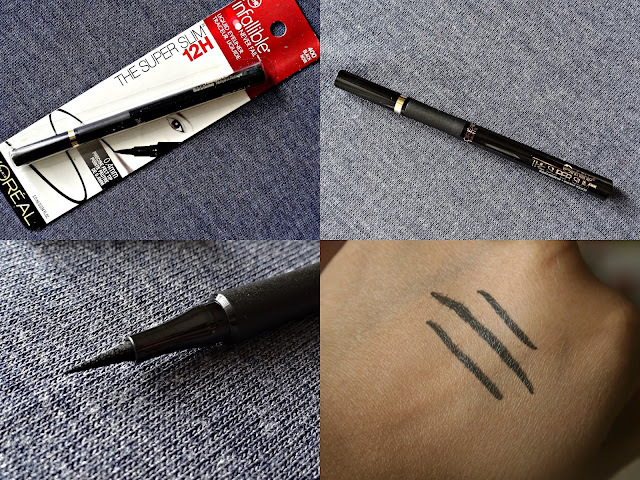 The tip isn't too firm or too wobbly, is extremely fine and makes precise winged eyeliner super easy to achieve. The finish is slightly glossy and the gripper on the packaging ensures you don't lose grip while drawing a smooth line. Mary Kay Creme Eye Color ($14) - These cream eye shadows from Mary Kay come in quite a few gorgeous shades & I have four new shades here - Metallic Taupe, Meadow Grass, Violet Storm and Coastal Blue! I love the smooth and easy formula. I like to use my fingers as the warmth helps blend the color better. My only qualm with these are how fast they set. On the plus side, they make for great, budge-proof bases! Metallic Taupe is my favorite among these! PONDS Luminous Finish BB Cream ($10) - Ponds has a new BB Cream out recently and the formula seems to be geared more towards dry skin types. It has a super dewy finish and a thick consistency that covers small blemishes and imperfections pretty well. It feels nice and lightweight, but if you have oily skin, be sure to use a powder on top. I have dry skin and I needed some powder after about 4-5 hours! That apart, its a great budget buy and the packaging sure is sleek and easy to travel with! Yes To Grapefruit Repair & Protect CC Cream in Light-Medium ($14) - Yes To Grapefruit has a new CC Cream out and its pretty amazing as a base, more than a CC cream itself. The coverage is very sheer, but it leaves an ultra smooth, luminous finish on my dry skin, evening out my skintone. The color selection isn't the best, but the formula seems pretty neat! Sally Hansen Colorfast Tint + Moisture Balm ($4.99) - This is probably one of the most underrated lip crayons from the drugstore. I haven't seem many people talk about this one at all. I love these as much as the Neutrogena ones and think they are well worth the friendly price tag! There's a nice caramel scent and it keeps lips moisturized without feeling heavy. The lighter colors are just as pigmented as the darker ones. The only problem though is that it isn't very glossy - a light gloss on top would sort that out. My favorite is Happy Berry! Sonia Kashuk Shine Luxe Lip Color in Sheer Pink Lust ($10.99) - Its a sheer, balmy lip color from Sonia Kashuk that was released back in Spring. 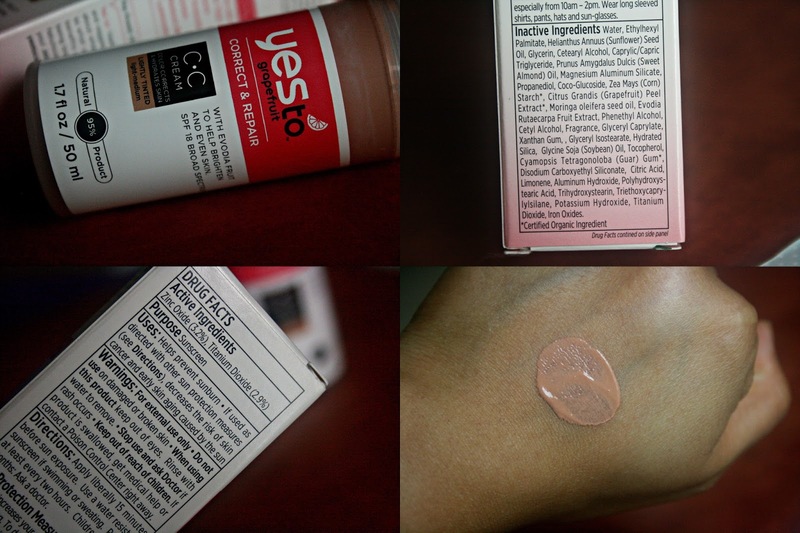 The light pink color does wash me out a little, but the formula is great for the price. The packaging is super nice too. It is a little slick and doesn't last as much as a creamy lipstick would, but I love glossy finishes, so I don't mind reapplying. Avon makes some great budget friendly scents and Blue Escape ($23) is one such fragrance I love. Its a light, aquatic scent with some cirtusy notes and quite long lasting for an EDT. It is limited edition though. The scent reminds me a lot of a wallet friendly version of CLEAN Rain! John Frieda Hydrate + Rescue Deep Conditioner ($7.99) - Its a quick fix for dry, damaged ends. The scent is a little too strong, and it does have quite a few 'cones listed, so its not something I'd recommend as an everyday conditioner or even on a regular basis. But, if your hair needs a quick moisture fix from all the styling and heat damage, this sorts it out super quick - in just a couple of washes! Champneys Spa Indulgence Foot Butter ($8.99) - Its a rather thick, minty scented foot butter for sore, tied, dry feet. The minty scent is a little too strong for me, so I almost always end up wearing socks. It does the job effectively and leaves feet feeling tingly and quite soft. It also feels a lot like The Body Shop's Peppermint Intensive Foot Treatment at half the price! What are some of your recent budget beauty favorites? **Some Products mentioned in this post were Press Samples provided for consideration. would love to try the loreal kohl and sally hansen lip balm tints..shades look super wearable!